It might seem impossible to find that “one furniture” which might suit all your needs starting from yoga, exercise, relaxation and also for sleeping. But there is that one furniture which is fit for all those needs. The Cristina Chaise Lounge is a piece of perfect furniture that will suit all your requirements. At Furniture Coast to Coast, the Christina chaise lounge furniture is available at a competitive price. The word Chaise Lounge is a French word of literal meaning – long chair. This is a reclining chair used in the olden times. The first documentation of this chair was in Egypt. The first type of the Chaise Lounge came into existence with the handcraft of the Egyptian carpenters who made the long reclining chairs with the palm sticks whipped together with pieces of rawhide or cord. Later the kings and queens of Egypt got luxurious counterparts of the cheap chaise lounges made with wooden frame with ivory and gold embossings done. The ancient Greeks and Romans were also seen using this type of furniture in the old paintings. Likewise the French and English also used these types of Chaise Lounge furniture. What are the special features of the Cristina Chaise Lounge furniture? Not all furniture is designed with the users in the mind. For example., Some of the couches which that are sold will not be comfortable to lie the back & neck and relax well. This is because of its bad design. The Chaise lounge is known for its well-made design. It is pertinent that French had used these for centuries back as their comfortable lounge. The ergonomic design will be absolutely suitable to lay down on your back. 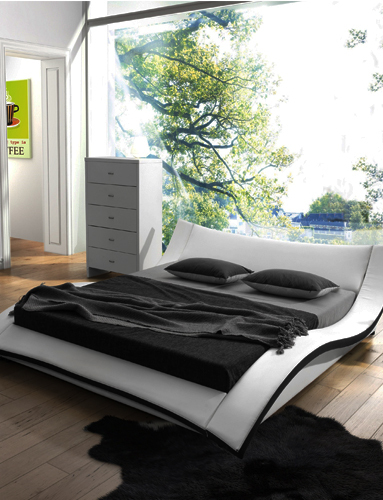 The aerodynamic design will help you to relax and give great support to your neck and back while you lie down. How much ever great design can be if the out surface material is not well, then no one will even try to use the furniture. The Cristina Chaise lounge is made with posh and luxurious outer material which will feel like sitting on a velvet sheet. The fill material foam is made sure to be spread perfectly abundant, thereby making sure it is very comfortable. The upholstery material is of faux leather to give you a nice soft yet luxurious feel when seeing. The material is also easy to maintain and clean. The flowy design will help you do Yoga and exercises which required back and neck support. Relaxation and sleeping are also other common purposes of the furniture. The concave design is suitable for people with back pain as it alleviates the pain and soothes the sore muscles. Overall, the Cristina Chaise Lounge is a perfect gift for your loved ones this holiday. Therefore click the link and book the furniture.